(Mary is pictured on the far right). 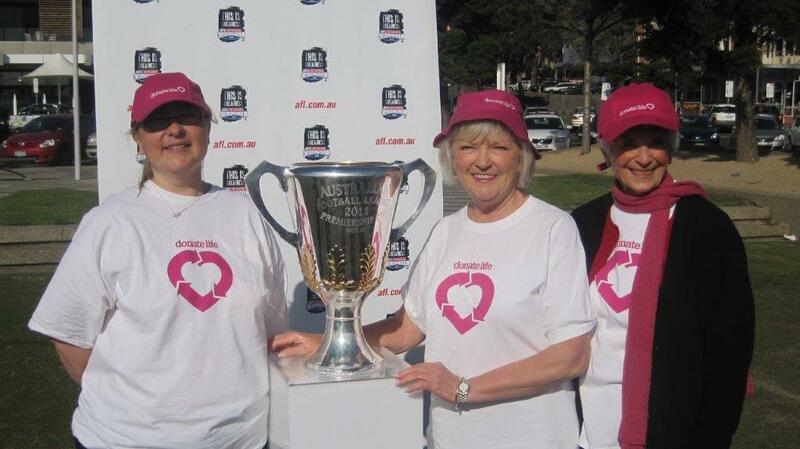 Mary Elliott was a terrific friend of Transplant Australia Vic/Tas and a passionate advocate for organ donation. We first met her in 2005 when the planning for the Geelong Australian Transplant Games began. Mary was representing Rotary and took on the massive role of Volunteer Coordinator. She had been promoting organ donation for a couple of years through the Rotary Club of Torquay and what was then Life Gift Victoria (later DonateLife). Mary told Karen Knuckey that she took on the cause because it was wonderful to save lives and because it didn’t involve asking for money! Mary didn’t personally know anyone connected to transplants, but when she began to meet TA members, her passion for organ donation became even stronger. Mary worked hard and jumped on any and every opportunity to promote organ donation until her health began to deteriorate only about a year ago. Mary was a wonderful person who loved and was dearly loved by her family and friends and was deeply respected by all. Mary passed away on Sunday 6th May, aged 85.